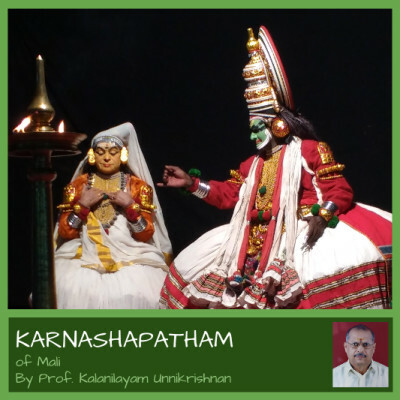 Karnashapatham, by Mali, is one of the very few modern Kathakali plays that has received acceptance among connoisseurs. Shri Kalanilayam Unnikrishnan was among the early Kathakali musicians who worked tirelessly to popularize this play. This album is a studio recording of the entire play by the master.